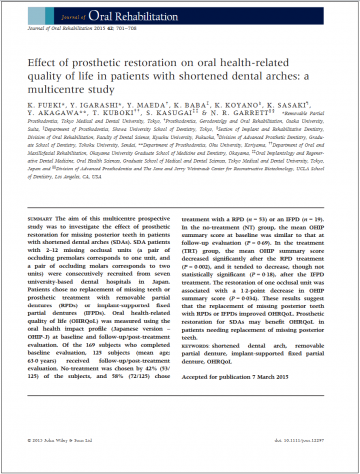 Effect of prosthetic restoration on oral health-related quality of life in patients with shortened dental arches: a multicentre study. Journal of Oral Rihabilitation 2015,42: 701-708. 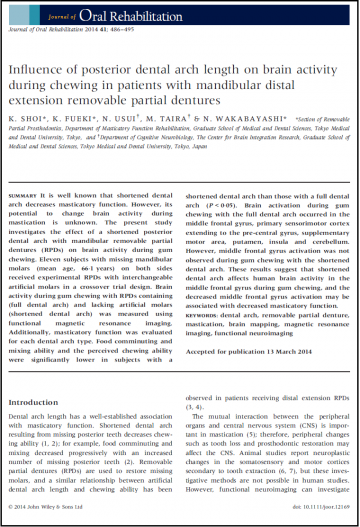 Influence of posterior dental arch length on brain activity during chewing in patients with mandibular distal extension removable partial dentures. Journal of Oral Rihabilitation 2014, 41(7):486-95. 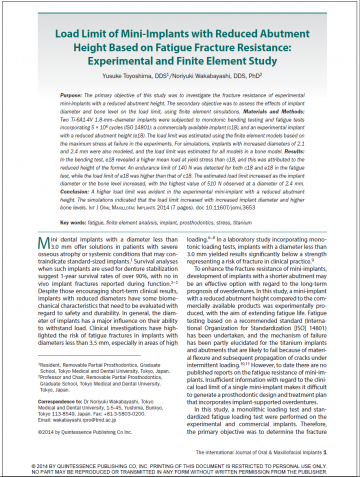 Load limit of mini-implants with reduced abutment height based on fatigue fracture resistance: experimental and finite element study. The International Journal of Oral Maxillofacial Implants 2015 Jan-Feb;30(1):e10-6. 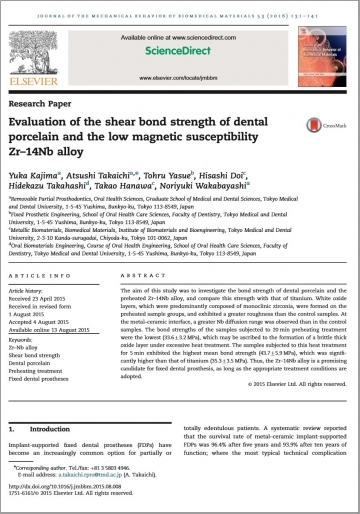 Evaluation of the shear bond strength of dental porcelain and the low magnetic susceptibility Zr-14Nb alloy. Journal of the Mechanical Behavior of Biomedical Materials 2015; 53: 131-141. 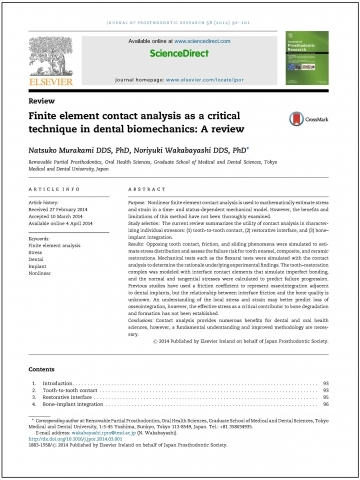 Finite element contact analysis as a critical technique in dental biomechanics: a review. 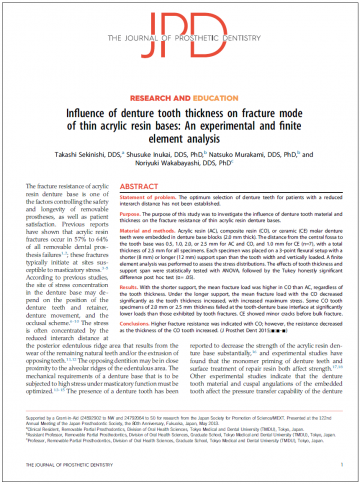 Journal of Prosthodontic Research 2014, 58:92-101. 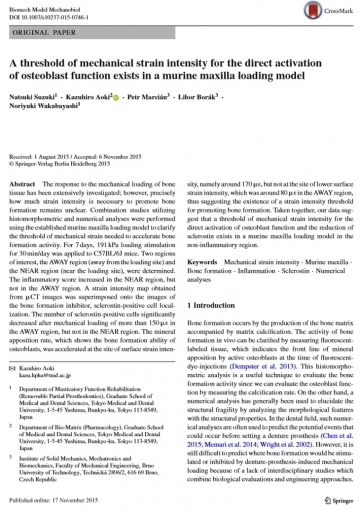 A threshold of mechanical strain intensity for the direct activation of osteoblast function exists in a murine maxilla loading model. Biomechanics and Modeling in Mechanobiology 2015 2015 Nov 17.